Description of "The Silence of The Night"
'Our sweetest songs are those which tell of saddest thought.' said the great English poet Shelly. This collection of very emotional poems will touch your heart. Any good poem should be able to seamlessly transfer the emotions of the poet to the readers and these poems are successful in doing it. 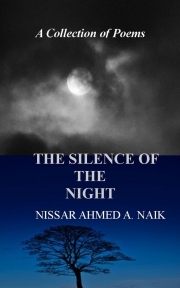 Reviews of "The Silence of The Night"